One of the big keys to Blizzard's success as a PC developer has been its Battle.net system for online multiplayer. 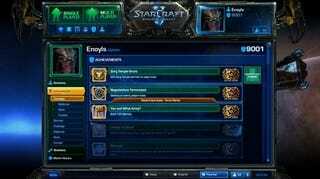 Now that Blizzard is shacked up with mega-publisher Activision, could we see non-Blizzard games appear on Battle.net? Don't bet on it any time soon, but Battle.net project director Greg Canessa tells Gamasutra you can never say never on the subject of seeing Activision games pop up on Blizzard's service. "... Someday, maybe we'll add other titles in there, who knows. When we really feel like we've delivered that great set of experiences for Blizzard games, and we feel that we've grown the team... when I've got that sustainability, when we really feel like we've got that dialled in and nailed down, who knows what the future holds." See? Far from committal, but still interesting, because a stable, popular online gaming platform run by the world's biggest publisher would be about the only thing we can see challenging Steam's dominance in the PC market any time soon.